Elinchrom has released a firmware update making its Skyport Plus HS trigger compatible with Panasonic Lumix cameras. The unit, already designed to work with Olympus OM-D and PEN series cameras, will now provide high-speed sync support to a wider range of Micro Four Thirds mirrorless systems. You can use the Skyport Plus HS to trigger and control the power of Elinchrom studio flashes including the Quadra series, ELB400, D-Lite RX, BXRi and ELC Pro HD. Other units can be attached to a Universal Receiver. Hi-Sync, Elinchrom’s name for high-speed sync (triggering flashes at shutter speeds faster than 1/250 second, the usual limit on focal-plane shutter cameras), is available on the D-Lite RX 4, D-Lite IT 4, and Quadra/ELB400 with HS Head or RQ Ringflash Eco. From firmware version 1.1, the EL-Skyport Plus HS for Olympus and Panasonic is compatible with the following cameras. For more information, visit the Elinchrom web site. 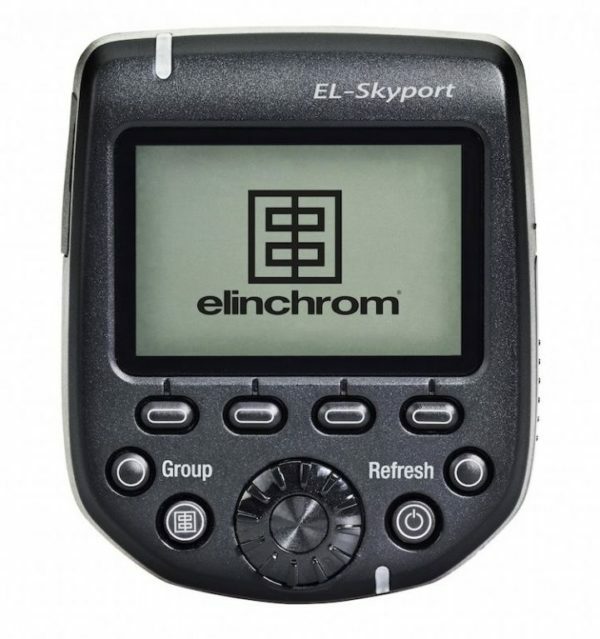 The EL Skyport Plus HS is available now for $249.95 from Adorama, B&H Photo and other authorised dealers.